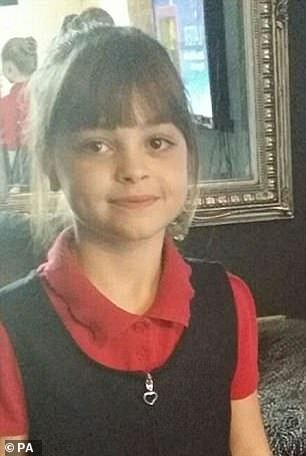 The mother of a 15-year-old girl killed in the Manchester Arena attack has led the backlash against Islamic State bride Shamima Begum claiming it was justified. 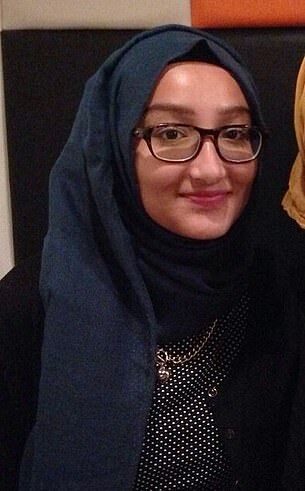 Begum, 19, of Bethnal Green, East London, said Western air strikes against Syria were a ‘fair justification’ for the suicide bombing in which 22 innocent people died. 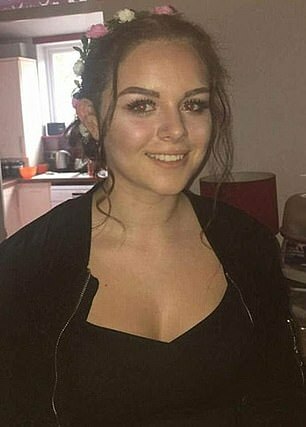 Charlotte Campbell, whose daughter Olivia was among those killed in May 2017, has revealed her horror at the thought of Begum being allowed to return to the UK. 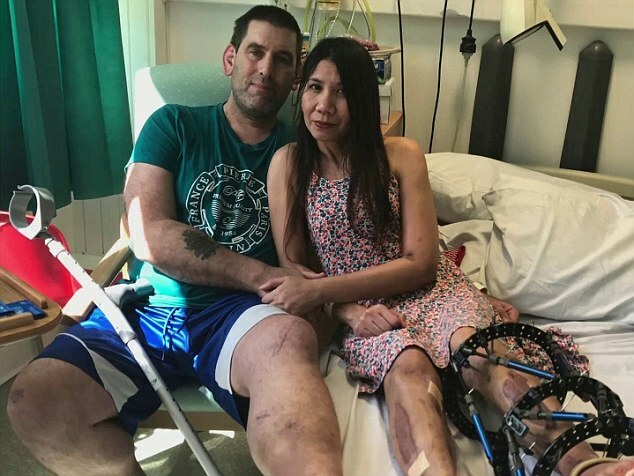 Manchester bombing survivor Robby Potter, 49, who was blasted in the heart with shrapnel while with his family, has also criticised the suggestion she could return. He said: ‘How can she even be considered to be allowed back when she has just stated it was fair justification? I can’t even believe it’s even being debated. Begum, who fled to join Isis in 2015 and is now begging to be allowed to return, said the Manchester attack was ‘retaliation’ for ‘women and children’ bombed in Syria. Downing Street has rebuffed Donald Trump’s demand that the UK takes back Islamic State fighters and their jihadi brides. Britain has at least six fanatics languishing in secret jails in Syria and dozens of wives in refugee camps in the region. On Sunday, the US president said European nations should ‘step up’ and repatriate more than 800 IS combatants. If not, he warned America would be forced to release fighters who could make their way back to Europe and plot attacks. But Theresa May rejected the call, insisting prosecutions should take place in the country where the crimes were committed – even if there is no functioning justice system. Meanwhile, Home Secretary Sajid Javid revealed more than 100 dual nationals who travelled to join Isis have had their UK citizenship stripped by the Home Office to stop them re-entering the country. Mr Javid also said yesterday the 650-year-old law of treason could be rewritten to make it easier to prosecute returning jihadists. He said the idea of widening the treason law to catch extremists who travel abroad ‘was worth looking at carefully’. The unrepentant teenager, who gave birth to her third child, a baby boy, in a refugee camp on Sunday, told the BBC: ‘I do feel that is wrong. Innocent people did get killed. It’s one thing to kill a soldier that is fighting you, it’s fine, it’s self-defence. ‘But to kill people like women and children, just like the women and children in Baghuz [Isis’s last stronghold] who are being killed right now unjustly by the bombings – it’s a two-way thing, really, because women and children are being killed in Islamic State right now. Begum said she was ‘sorry’ to all the families who had lost loved ones in Isis-inspired attacks in the UK and across Europe, adding: ‘That wasn’t fair on them. They weren’t fighting anyone. They weren’t causing any harm. 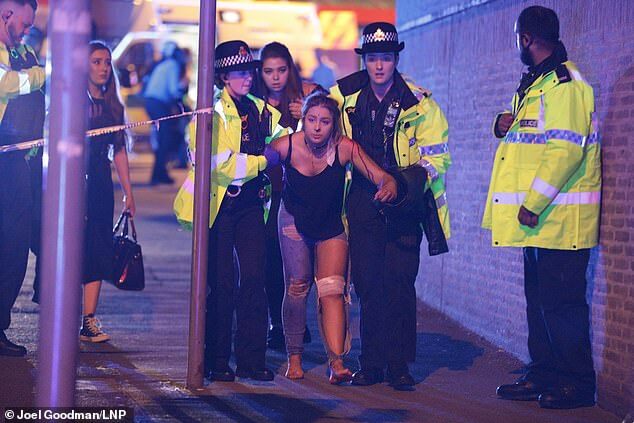 Isis claimed responsibility for the bombing by Salman Abedi on May 22, 2017, which killed children as young as eight and wounded 139 people, saying it was in response to ‘transgression’ against Muslims. 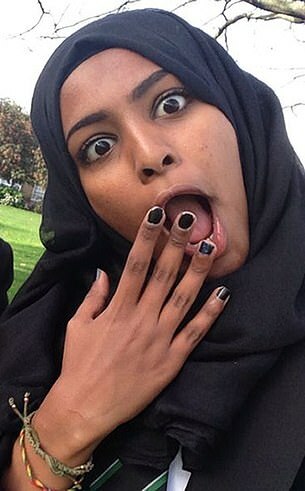 Begum said before she fled to Syria with fellow Bethnal Green Academy schoolgirls Kadiza Sultana and Amira Abase, she watched Isis videos of ‘beheadings’. She also watched propaganda videos of ‘families and stuff in the park, the good life they [Isis] can provide’ before settling in Raqqa and marrying Yago Riedijk, a convicted terrorist who police believe was part of a cell plotting an atrocity in Europe. She emerged in a refugee camp in Syria last week and spoke of her desperation to return to the UK to raise her son. Her first two children died of unknown illnesses. But Begum’s efforts to return to the UK have sparked controversy, with Home Secretary Sajid Javid claiming he will try to block it. However, she told ITV News last night she does not see why he would see her as ‘a threat’ and that she was open to spending time in prison and going on a deradicalisation course. She said: ‘I’m a 19-year-old girl with a newborn baby. I don’t have any weapons; I don’t want to hurt anyone even if I did have weapons. The teenager denied being an Isis ‘poster girl’ but admitted her disappearance with friends in 2015, which made headlines around the world, had incited many others to join the hateful group. She said: ‘The poster girl thing was not my choice. Me just going there and being a housewife and them taking care of me, it’s not really in any way helping. 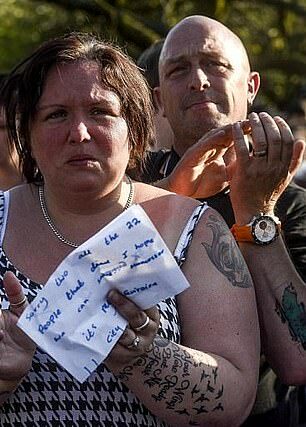 I’m not paying for their bullets.’ But she added: ‘I just want forgiveness really, from the UK. Tasnime Akunjee, solicitor for the families of the Bethnal Green girls, has said he would like an assessment on Begum’s mental health and blamed her radicalisation on Tower Hamlets Council, Bethnal Green Academy and the Metropolitan Police.